のむ nomu is the Japanese verb “to drink.” By taking it’s romaji translation (English reading), we remember it’s history but also transform it into a recognizable identity that is layered vertical to create a dynamic interaction with it’s spaceand because traditionally Japanese is read from top down. The first half of this project was to create a lifestyle brochure to present the way this brand is meant to be enjoyed or showcased to financial backers. Drinking tea is deeply rooted in ancient Japanese culture, tea cannot be excluded from it’s history but is often overlooked for being the subtle and quiet companion that aided the people of Japan. Japanese tea is not just a drink but an act and symbol. It carries that emotional value of being able to bring two or more parties together whether friend or foe. Being able to bring people together regardless of their socioeconomic class and standing. A symbol of tranquility as people relax and are able to converse freely with each other. Tea can bring communities closer to each other and that’s the focus of nomu. I was also inspired by topographic maps and using the illustration style to show that the sourced matcha is organic and comes from from Nishio, Japan. The second half was to design a website in which consumers can purchase the product and learn more about nomu. 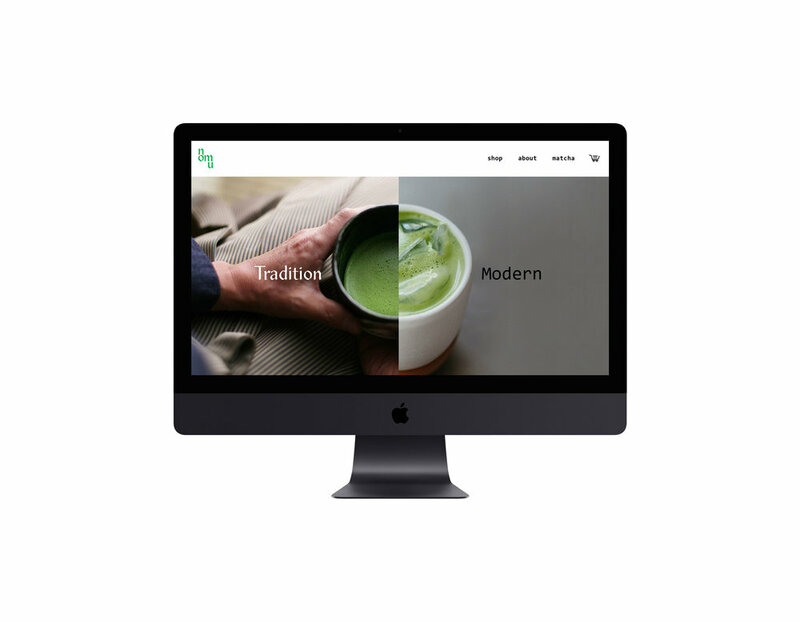 The website was kept minimal in following the lifestyle brochure style and to really put forth a focus on the matcha and being able to buy it so the customer can share with their family and friends.